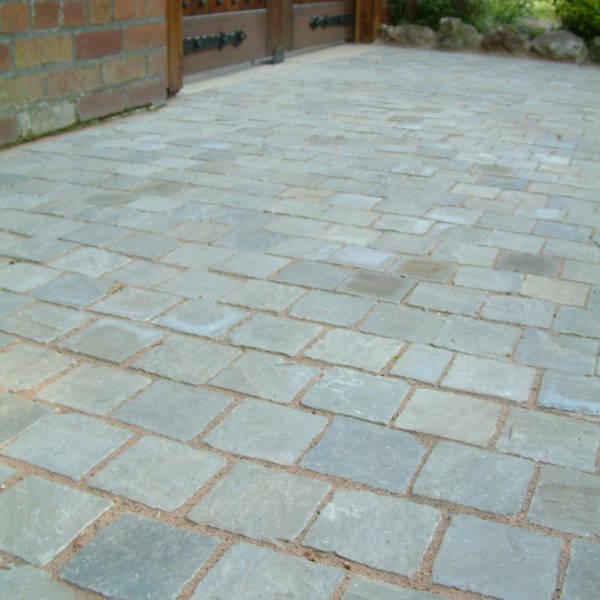 Of all the sandstone’s, Kandla Grey is the most contemporary, being very consistent in colour. It is popular with those who prefer not too much variation and Is one of the most popular products in today’s market. It is a gentle, blue-grey colour with occasional beige shadings that appear. Kandla Grey is available in three individual single sizes. It is also available in our ever-popular RF7 Project Pack which offers a mixed pack of flags for laying random designs. Our RF7 project packs offers a more traditional method to lay the paving. 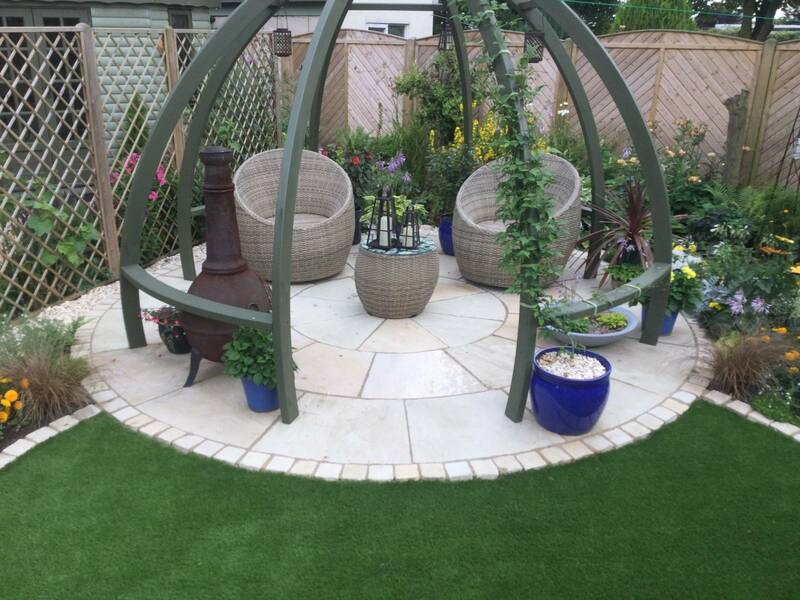 To complement Kandla Grey paving, we offer corresponding Circle Kits, Stone Copings, Cobbles and Kerb Edgings and much more! – See the related products. 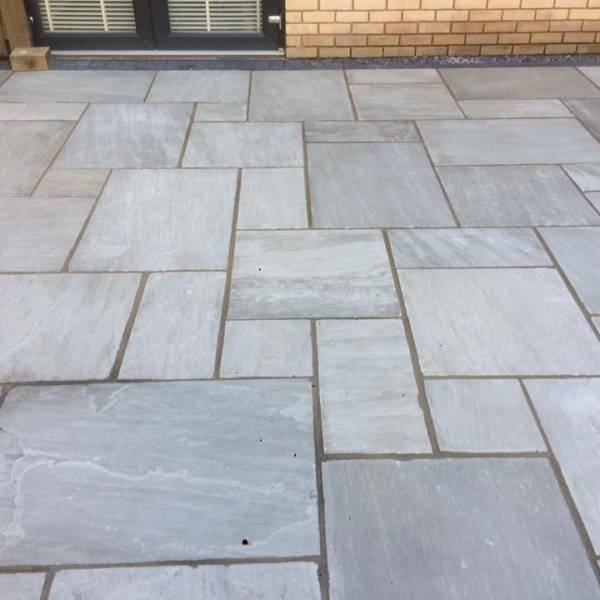 Of all the sandstone paving types we offer, Kandla Grey is one of our most popular – and it’s not hard to see why. Not only does it provide a subtle and contemporary feel to your living space, it offers only very slight variations in hue. This means you get a beautiful consistent finish, but with just the occasional beige shadings appearing amongst the gentle, blue-grey colour. 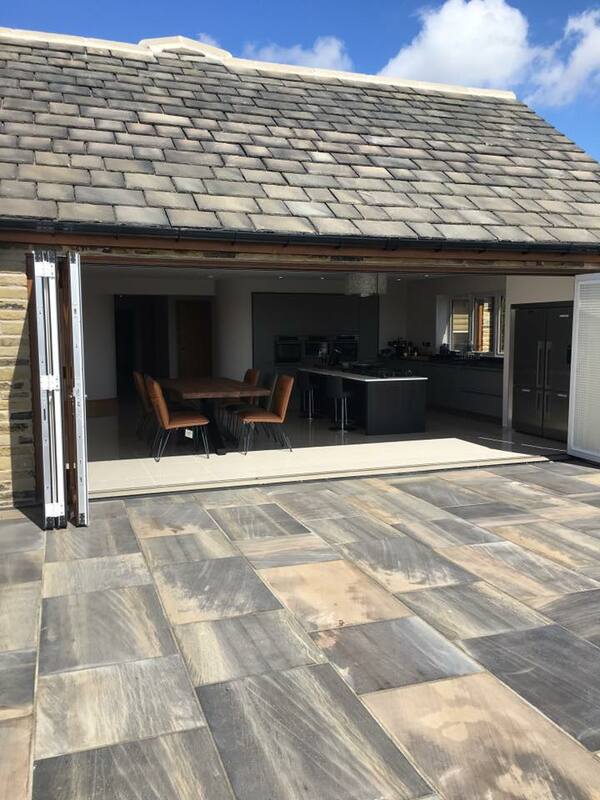 Thanks to its attractive modern-meets-classic style, our ethically sourced Kandla Grey Sandstone paving from RF Paving is perfectly suited to both indoor and outdoor areas. 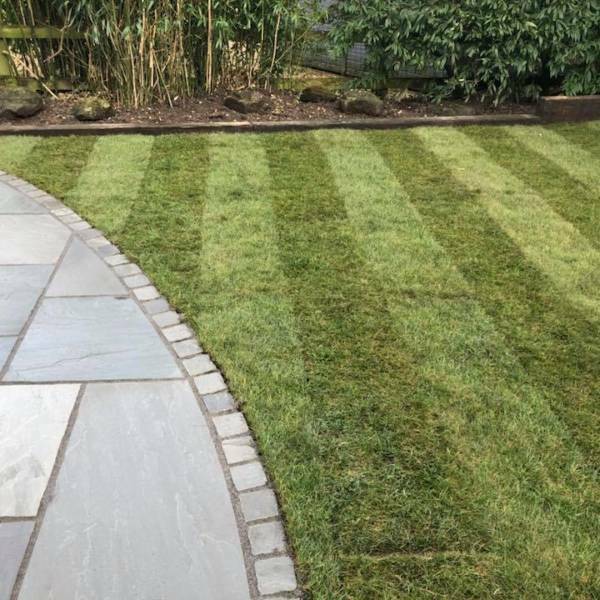 From patios to driveways and paths to simply making a feature of an otherwise boring patch of land, Kandla grey sandstone is not only versatile it looks great too. Each paving slab is also expertly hand-cut to give a stunning quality and texture which only adds to its character and charm. Plus it’s very easy to maintain and durable enough to withstand even the worst of the Great British weather. 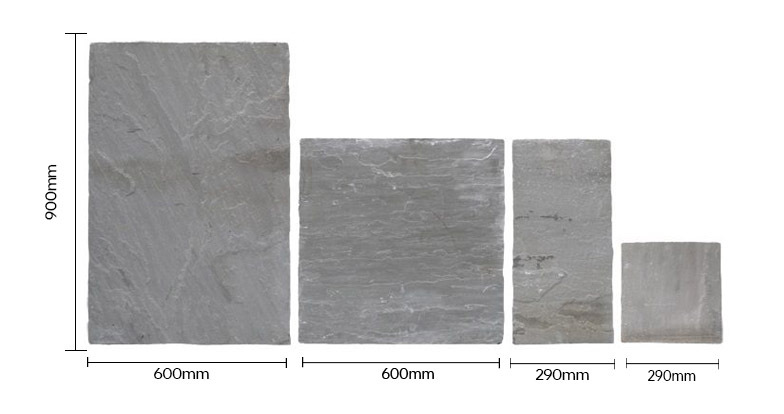 Our Kandla Grey paving is available in three individual single sizes. 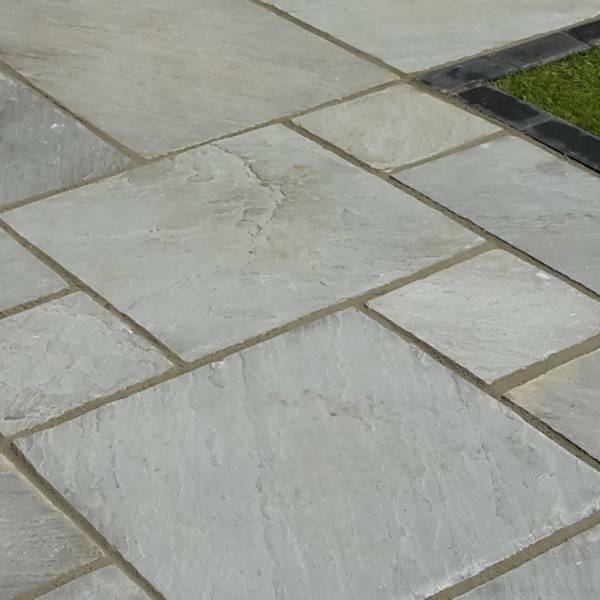 It also comes in our ever-popular RF7 Project Pack; a mixed pack of flags for laying random designs which offers a more traditional method in laying your new paving. 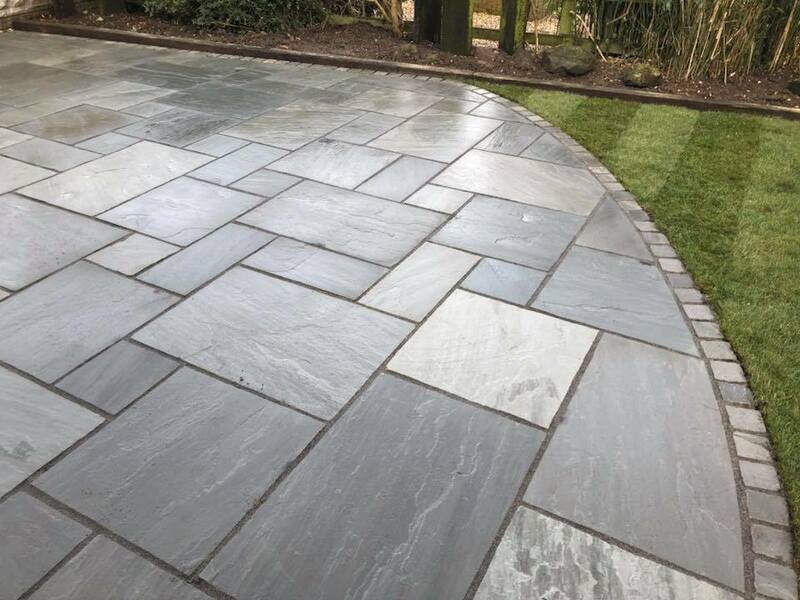 To compliment Kandla Grey paving, we also offer matching Circle Kits, Stone Copings, Cobbles and Kerb Edgings and much more – all you need to do is ask! Still can’t decide? 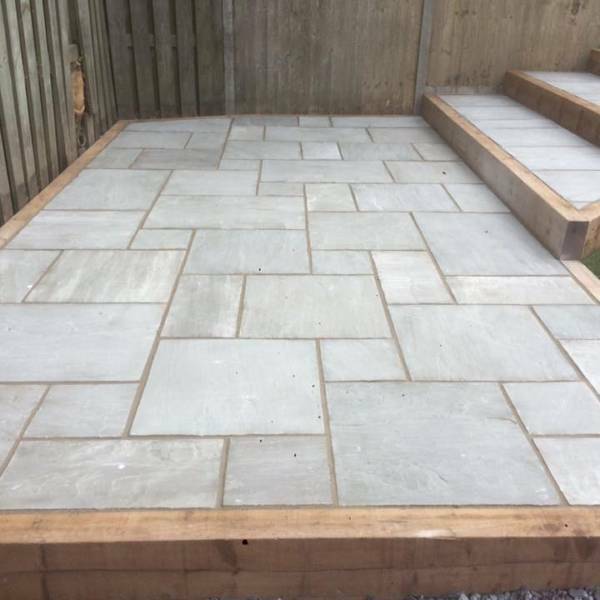 Whether you’re looking to start a fresh new project from scratch or simply want to revamp tired old paving from yesteryear, why not take a look through our full range of sandstone paving to find the perfect match for your home or business today. 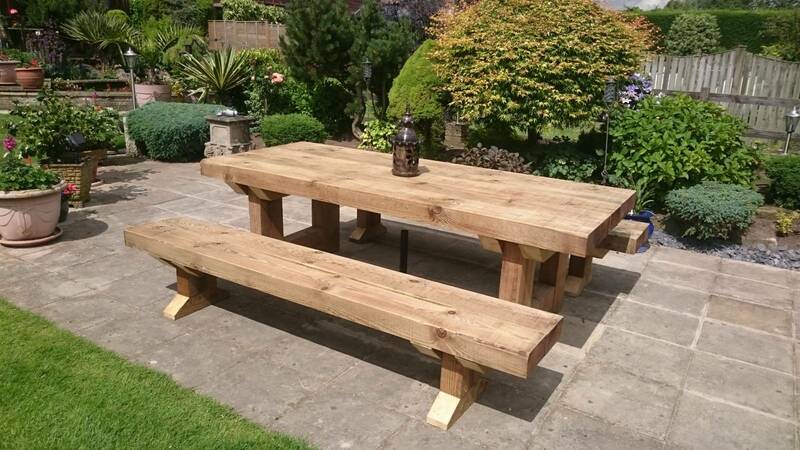 For further product information or for a quote, please do get in touch so we can help. We look forward to hearing from you.